Popping up in eyeliner wings, smoky lids and in the corners of every eye, jewel tones are a must-do this season. Visit the CYO counter and pick up one in each colour while they are half-price at Boots! Stop the microblading, tinting and threading and keep your eyebrows clean and shape them to a natural arch. Use this No7 Brow Protector to help care, condition and enhance your brows – Kylie J will soon be coming to you for tips! Flashback to the 90s with a brown lip, but rather then a dark matte, 2019 is all about natural and neutral. This season keep it earthy with a warm undertone and just a hint of brown. 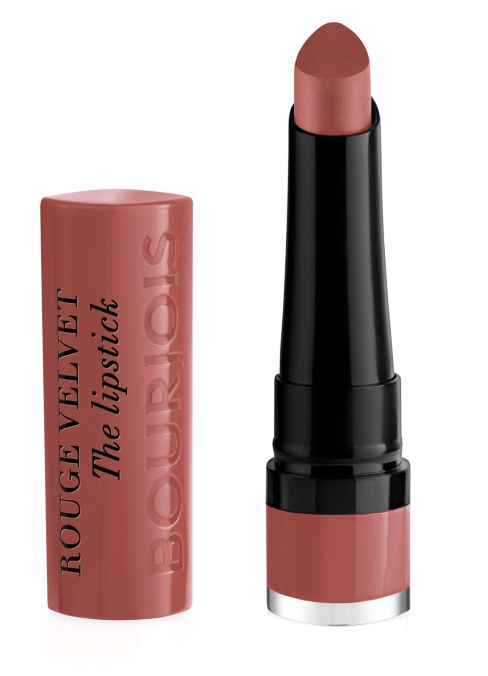 We love this Bourjious Rouge Velvet in Nohalicious. It’s all about the natural look in 2019 so put the contour pallets, and banana powder at the back of your dressing table and instead take a large fluffy brush and frame the face with a light bronzer along the temples, under the cheekbones and jawline. It’s time to wipe off those dark, moody hues and reach for the prettiest pastel shade on your shelf. Keep it fresh for Spring with creamy tones mixed with a slight-holographic tone. Barry M’s Under The Sea range is a must-buy.